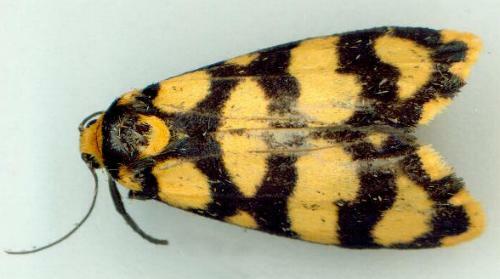 This species has adult moths with forewings that are black, each crossed by 4 yellow bands. The hindwings are yellow with a broad black border around the margins. The wingspan is about 2.5 cms. Series 2, Volume 4, Part 4 (1890), pp. 1080-1081.